The Literary Connection Volume III is an IOWI anthology of poetry and prose by authors living in the Greater Toronto Area and Winnipeg, compiled and edited by Cheryl Antao-Xavier. 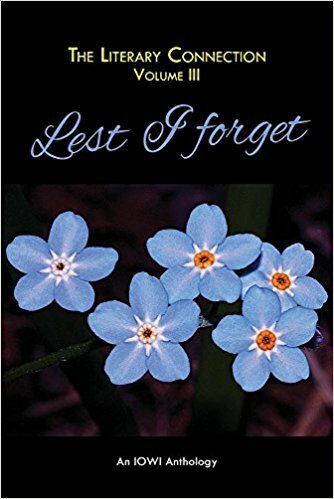 The theme of this anthology is ‘Lest I Forget’. Twenty-nine writers talk about the times, people and places in their past that were ‘defining moments’ in their lives. Original B&W photographs illustrate the stories and poems. The Literary Connection: Lest I Forget is available on Amazon.